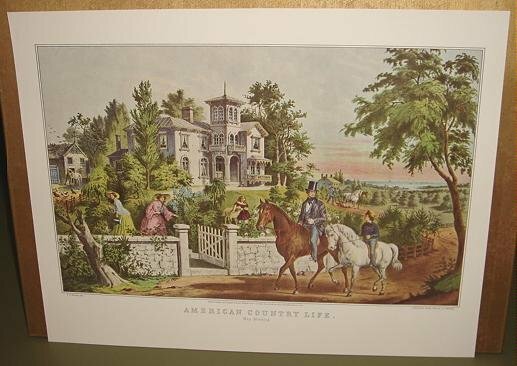 I have come across a collection of prints from Currier & Ives that were reprinted in 1952 from lithographs. Most of them are 11 3/4" x 15'. Many of them have complimentary prints so that you can make a grouping. This one is titled "AMERICAN COUNTRY LIFE-May Morning". There are 2 of these American Country Life prints---this one and Summer evening. Both are in excellent condition.